Part of our inspiration for originally creating Labelscar was a sense that there’s something vaguely artful (or, as CoolHunting called it, “mundanely beautiful”) about American retail development, but especially shopping malls, even moreso older ones designed by more reknown architects. In an American landscape full of abandoned malls, EVERYTHING MUST GO is an attempt, not to revitalize these structures, but to embrace the playful fantasy that the empty mall offers as a social space. Century Plaza Shopping Mall currently has 30 open stores and over 60 vacant stores. With a total leasable area of 750,000 square feet, less than a fourth is being used. Thousands of similar dead or dying malls can be found throughout America. Meanwhile, new shopping centers continue to be developed, sprawling farther and farther from city centers, where newer facades can be constructed , spent, and discarded. The greater Birmingham area has at least 7 major shopping centers , with more on the way. If the shopping center is the model around which our communities are built, what does the abandoned mall say about our society? As superstores abandon buildings in order to move into bigger stores, what will become of the walls that they leave behind? 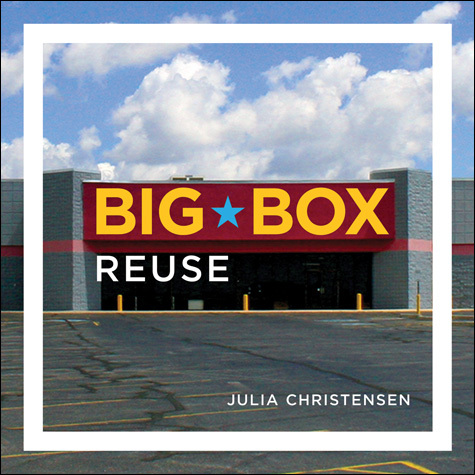 It is within the answer to this question that we are seeing the resourcefulness and creativity of communities dealing with a challenge that isemerging all over the country: the empty big box store. Through travel, the study of community, and exploration of the urban landscape, Julia is researching the way people build their towns, creating the context for their own lives. If you’re interested, you can buy it from Amazon. You should take a look Paho Mann’s Reinhabited Circle K’s from Texas. Great stuff as well.